It took hours but I went through my stash that has been accumulating in several piles around the house. I found a lot of projects & finishing items (frame, purse, tea tray, eyeglass case, tote bag, ornaments, wood box & lacquered box). The 2 dozen projects included painted canvas with and without stitch guides and charted designs (some kitted). There are 6 projects actually started to some degree & 6 projects that are stitched but not “finished” yet. So, as I move into 2015, I am going to work on a variety of types of projects including my 2 oldest WIP (Dragonfly-Sharon G-a painted canvas with stitch guide, Stitches in Sterling-Nancy Cucci-a counted canvas with stitch guide, 3 ornament-sized painted canvas pieces from our latest trips to Phoenix & Chicago, a name tag for my ANG chapter, and 2 of my own designs. Hopefully, I do not see more fantastic projects because I’ve got charted designs that I picked up recently that I would like to stitch too. But, I am optimistic that I’ll get to several of them! Somehow. 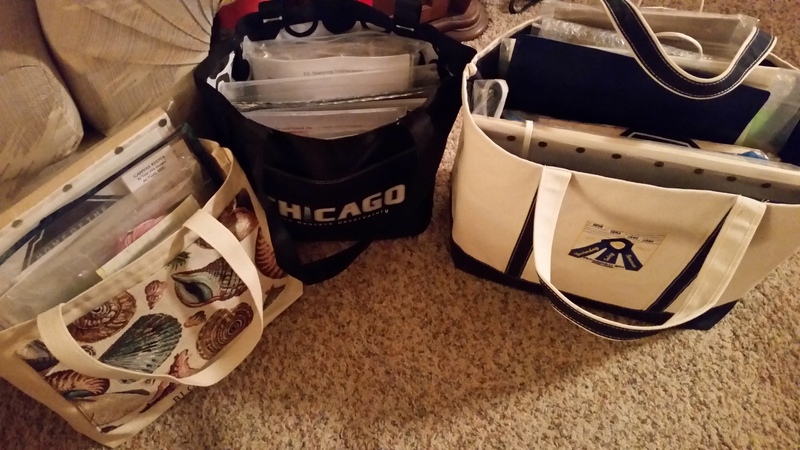 The bag on the right goes to the basement to remain WIPs (along with countless charts & kits sitting/waiting in a cabinet) & the two on the left stay upstairs to be worked on in 2015! Another thought about VISION in 2015 will be to reconsider how much of what I have stored in the basement now might or might not be of interest in future years. Thanks for visiting my blog throughout the year & hope you have a Healthy & Happy New Year! Looking back on 2014, I did FOCUS & finished 18 projects including 2 of my own designs, 2 ANG Correspondence Courses but done as 4 projects, 1 ANG seminar class project, 3 painted canvases, & 6 charted designs. There were also the gift tags & Lenox ornaments. That’s more pieces than I realized I had done! In 2015, I must use more VISION. I have enough accumulated now that I need to use what I have. For example, the Lee leather purse allows for a 5&1/2″ X 5&1/8″ opening. And, I have several 5″ X 5″ designs that could work by adding an extra border. So, I’ll plan some projects so I can use what I already have on hand. I finally blocked out time & applied the beads. The background just needed the small cross stitches in the Criss-Cross Hungarian pattern. 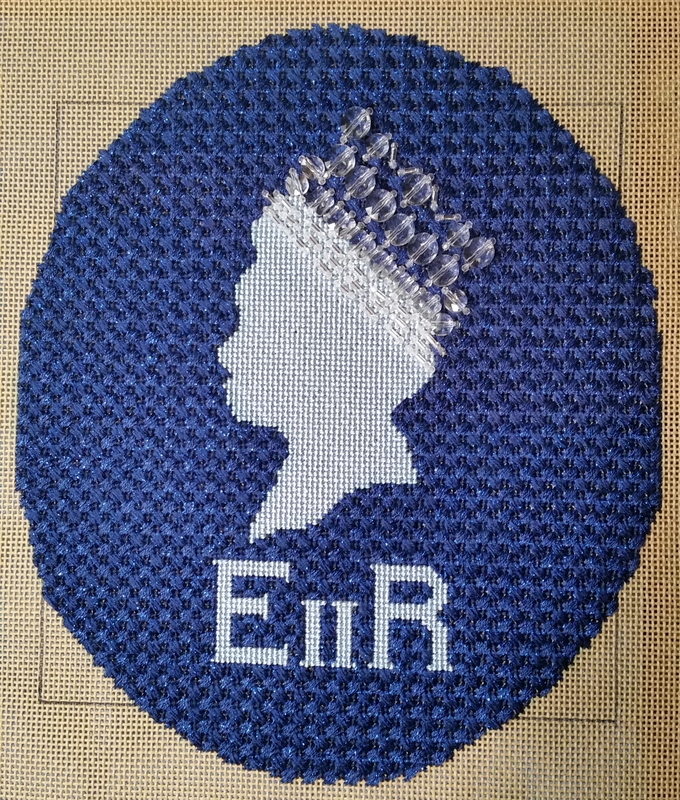 I used 2 silk threads of Au Ver A Soie in a slightly darker blue (510). I just finished the last of that (there were a lot of them) & we are heading to The Artful Framer in Paoli today – one of the women in my ANG chapter uses them. The background of the waves didn’t blend as I expected. Maybe I used too many blues. And, I think the waves are too symmetrical. 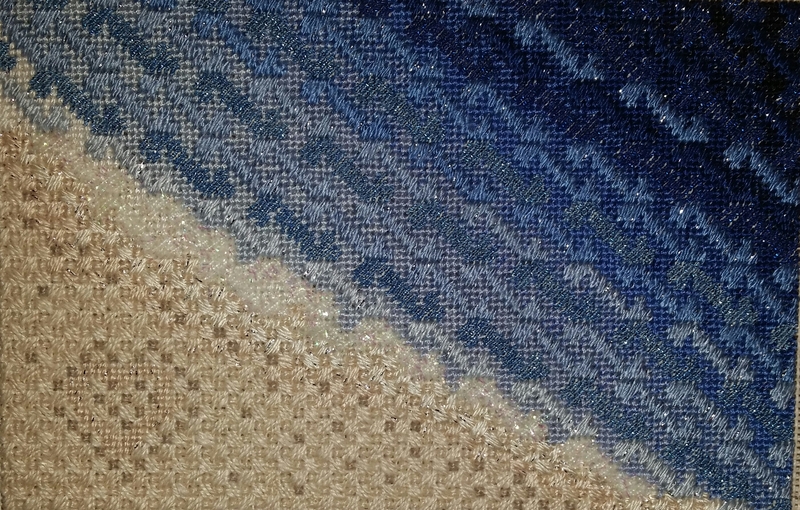 In the positives, I like the surf and sand stitch. I’ll round out the heart next time. Yes, this will be redone with lessons learned. But, I’m finishing another project as I think about what all to do to improve this design. Thoughts? Now that all these have been delivered, I can post this. Just like snowflakes, no two are identical! They were intended for photos but once I figured out to use perforated paper, it was easy to cut to fit. 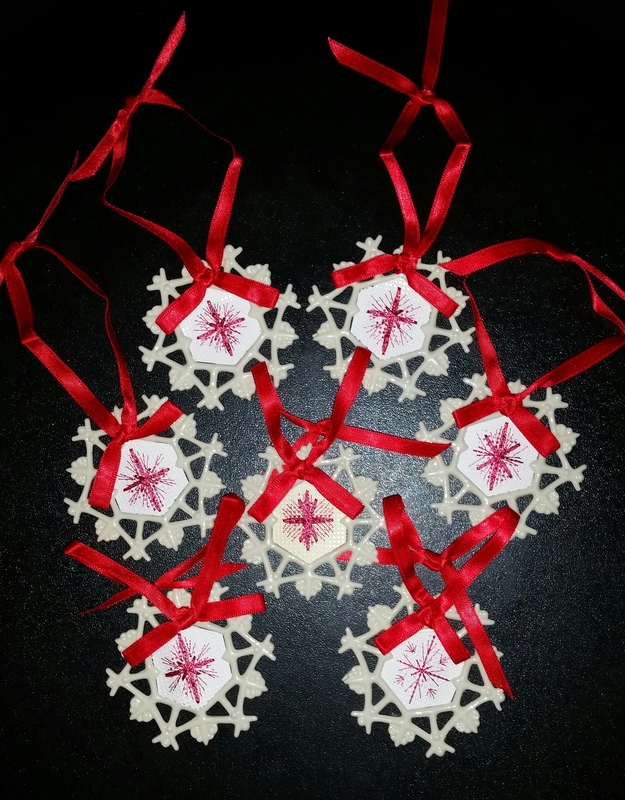 When I was at Designers Desk in Geneva, IL at seminar, I picked up extra cloth ornaments as Christmas gifts for Board members of my ANG Main Line chapter. 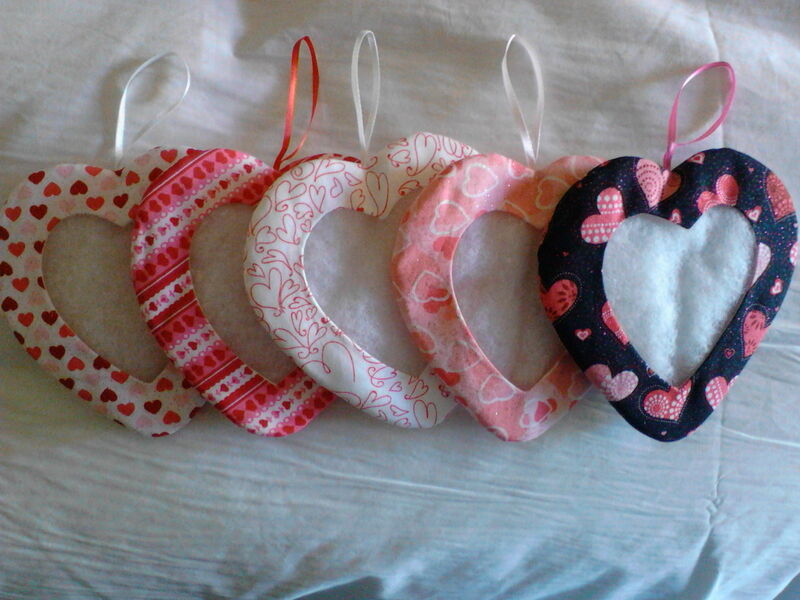 These were all the various heart patterns that they had for sale. I couldn’t share them until after our Christmas dinner meeting. We also did a polyanna Christmas “steal” with lots of various needlepoint related items & I got a gift certificate to use at Needle Me in Havertown, PA!